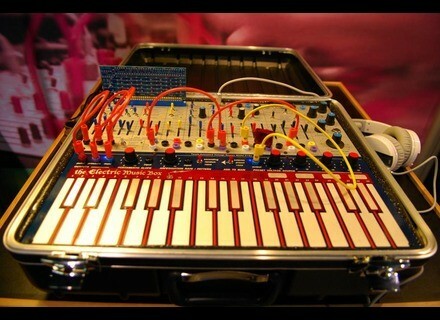 Music Easel Mark II, Analog Synth from Buchla. The Buchla team was at NAMM to introduce a reissue of the famous Easel analog synth, which should be available this spring. The Easel reissue, or Electric Music Box, will be an almost accurate reproduction of the analog synth produced in the 1970's, and sold below the price point of US $4000. 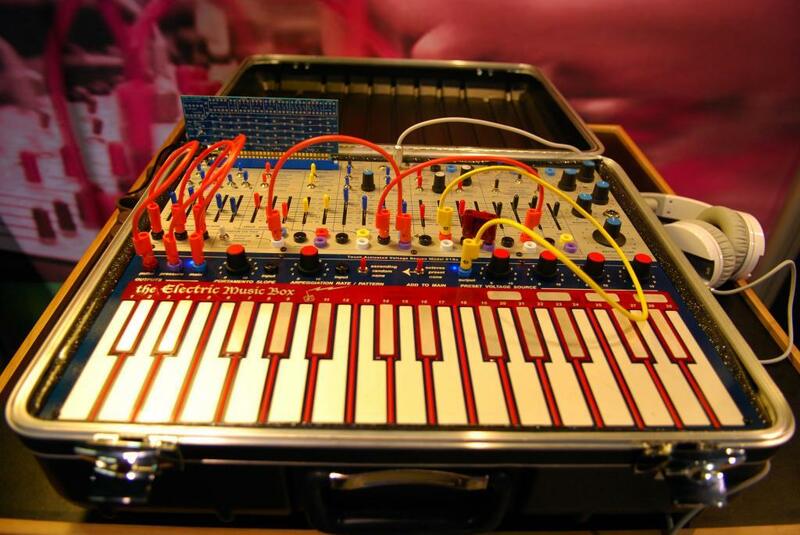 The synth is based on the original circuit, but also includes a Range switch for the modulation oscillator, and some additional features for the touch keyboard. Some components had to be replaced for they were not available anymore, but Buchla ensures that it will not affect the original sound and use of Easel. Also included is the programming card, like in the first versions, and expansions cards are also expected in the future. More details will be available soon on buchla.com. You will find additional videos in the media section. [NAMM] Yamaha updates Motif XF to v1.4 Yamaha announces the v1.4 update for the Motif FX firmware, which adds compatibility with the Steinberg CMC controllers. [NAMM][VIDEO] Yamaha MX61 workstation demo Along with the MX49, yamaha showed us the new MX61 keyboard workstation at NAMM 2013. [NAMM] Akai introduces the MPX8 sample launcher Akai is at NAMM 2013 to show, among other products, the MPX8 pad instrument equipped with an SD card slot.